School of Economics, visited Sri City on Saturday. Mr. Ravindra Sannareddy, Founder Managing Director, Sri City extended a warm welcome and briefed him on the infrastructure and the salient features of Sri City. 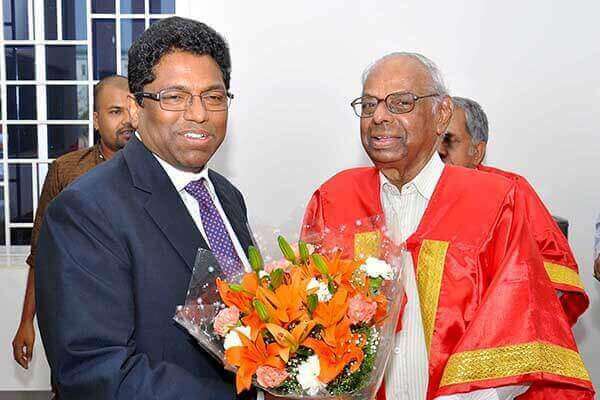 Dr. C.Rangarajan went round the campus and witnessed the blooming industrial activity. Appreciating the initiatives taken by Sri City management in developing such a mega industrial park, Dr. C. Rangarajan said that he was very much impressed with Sri City, and undoubtedly it is a good gain for Andhra Pradesh. 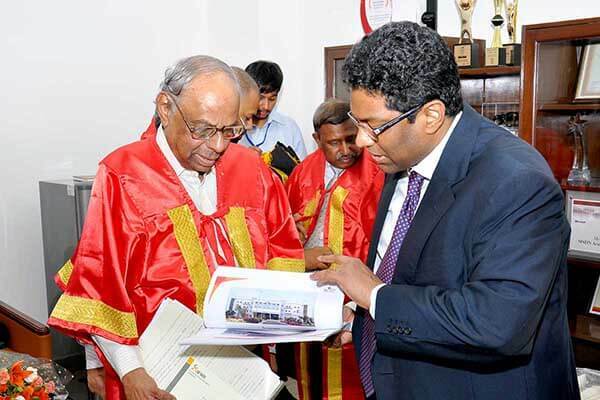 Later, Dr. C. Rangarajan took part in the convocation held at the Institute for Financial Management & Research (IFMR) as chief guest and delivered the convocation address.